история большинства монастырей России. В 1615 году ascetic deeds of the blessed elder began to settle next to him. The monastery was officially established in 1627. Originally, the monastery was named in honor of the Ascension. Shortly after the Archbishop of Kazan transferred Schema-monk Evfimy to the Savior’s Transfiguration Monastery of Kazan Kremlin, where he later deceased. For a long time the monastery was small and poor. In 1649 there were 27 monks who lived on gardening. The Hermitage was transformed into a coenobitic monastery in 1816. In 1884 it was handed over the personal administration of the ruling bishops of Kazan, who became the priors of the Seven Lakes Hermitage since then. bishop. In 1654 the plague epidemic broke out. It was raging in the Volga region of Russia. A third of Kazan citizens died of it. That time a pious nun Marfa saw in her sleep an apparition of the Mother of God, who told to her that her miracle-working icon “Of Seven Lakes” should be carried out from the monastery to Kazan, and that the clergy and secular administration should give it a solemn reception with a cross-carrying procession. After all these orders were fulfilled, the plague epidemic stopped. 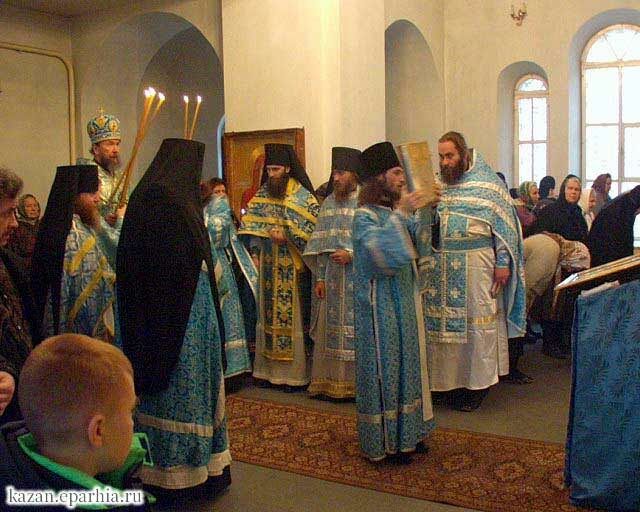 Since that time Metropolitan Lavrenty gave orders to arrange the annual processions of carrying the miracle-working image from the monastery to Kazan to be performed on June 26, at the same place where later on the Kyzichesky (of Kyzicus martyrs) Monastery arose. 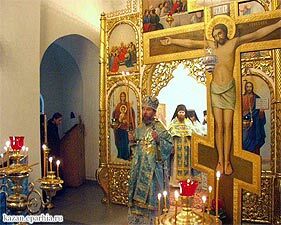 Within a month the icon used to be carried from one temple of Kazan to another. Besides, one more annual procession of carrying the icon to Kazan took place from September 9 to October 1. The miracles worked by the icon of the Mother of God of Smolensk and Seven Lakes won the fame for the monastery, which was annually visited by thousands of pilgrims. 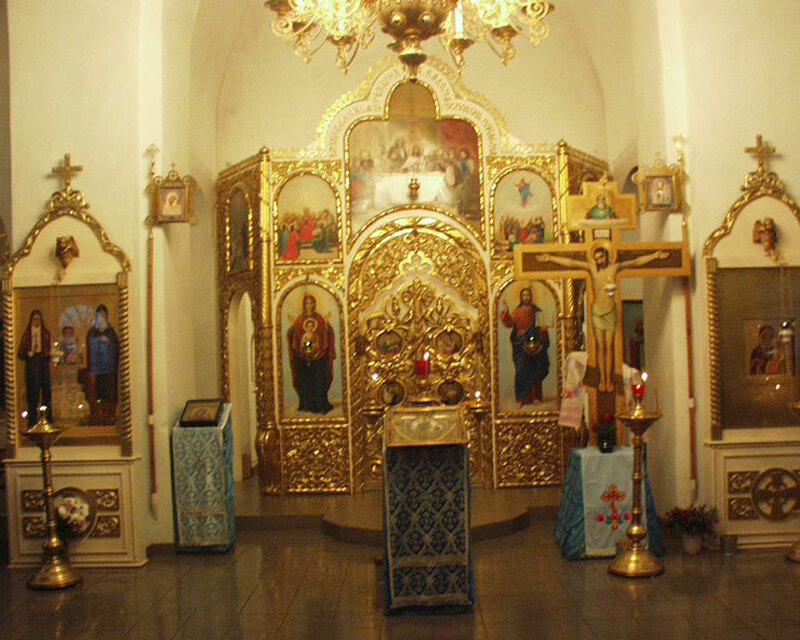 At present the miracle-working icon is kept at the Cathedral of SS. 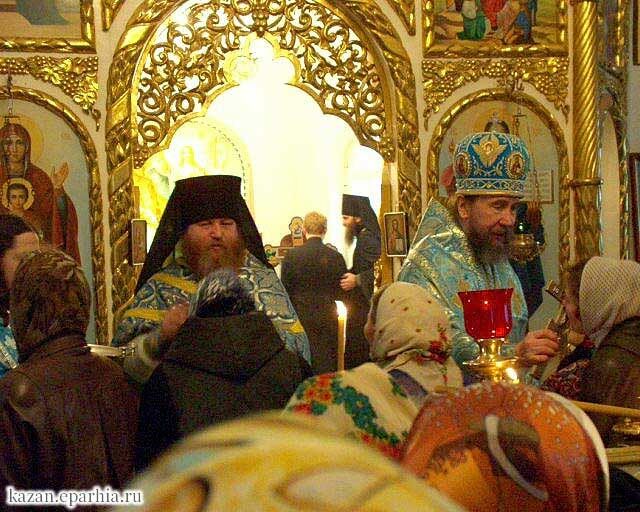 Peter and Paul in Kazan. a stone wall. In the 19th century five stone houses were built inside the walls. In 1881 a high bell-tower was erected. The Hermitage of Seven Lakes resembled the Raifa Monastery by the history of foundation and the outward view. The deference is that the Hermitage of Seven Lakes after it had been closed in 1926, it was for the most part destroyed. When the Hermitage was returned to the Russian Orthodox Church in 1997, there remained only the fraternity building constructed in 1893, some parts of walls of the alms-house, and the two-storey temple in honor of St. Euthymius the Great and St. Tikhon of Zadonsk. It was the church where elder Gavriil was buried. 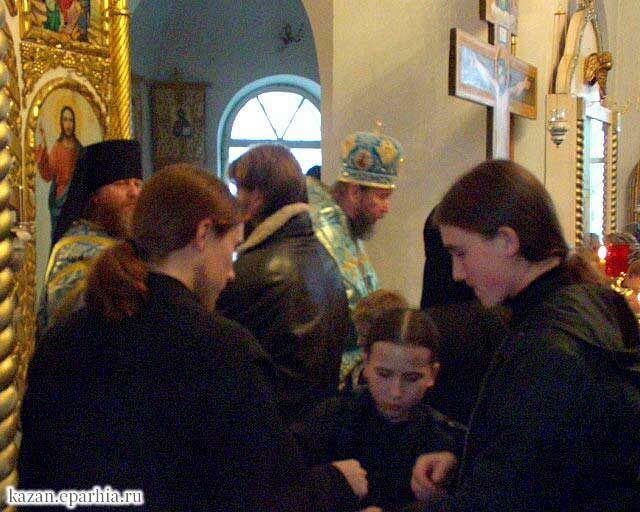 The relics of elder Gavriil were saved from the profanation during the soviet time. 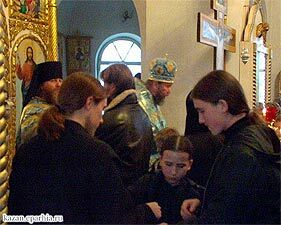 Nowadays, divided in two parts they rest in the Hermitage of Seven Lakes, and in the Church of St. Ioann of Kronstadt in Kazan. Besides, there is kept in the monastery a miracle-working copy of the icon of the Mother of God “Of Seven Lakes”, which is particularly venerated. Not far from the monastery there are two holy springs. At present, the restoration works are in progress at the monastery. The church and the fraternity building have already been restored. The monastic facilities are well organized. Other buildings, as well as the fence are under reconstruction. Superior: Hegumen German (Kuzmin). 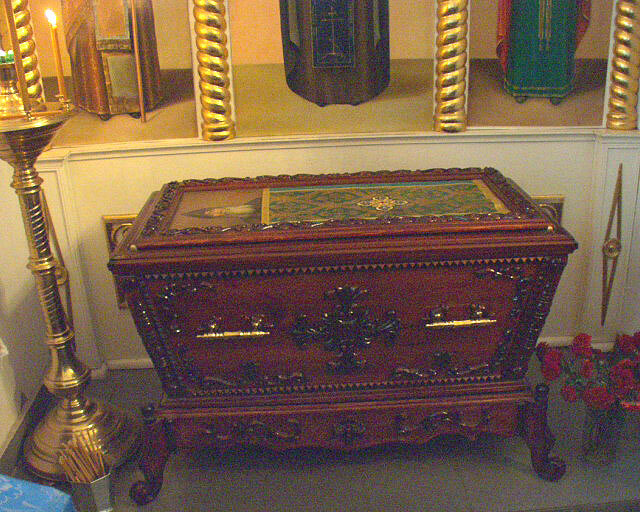 Treasery: hierodeacon Agapit (Bortsov). 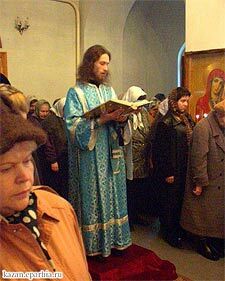 Dwellers: hieromonk Avraamy (Bobrov), Fr. Rostislav Loginov, hierodeacon Nil (Komlev), deacon Valery (Volkov), Schema-monk Panteleimon (Efremov), rassaphore monk Lazar (Miniakhmetov), rassaphore monk Ioann (Krainov), rassaphore monk Antipa (Akhmetshin).